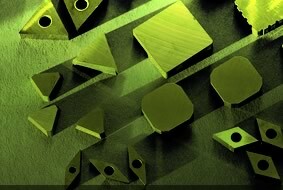 Our carbide inserts offer a cost-effective solution for general purpose machining as well as a number of special applications. 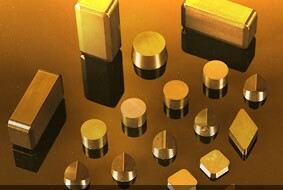 We offer a broad range of grades for any purpose. 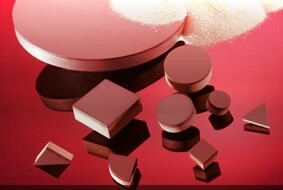 From the roughest and most strenuous conditions and materials to the tightest tolerance and smoothest surface finish requirements, our PCD inserts deliver maximum productivity. Our patented microwave sintering process produces a very fine-grained micro-structure featuring a more enhanced hardness, toughness and high temperature strength. For over 50 years, Indexable has been dedicated to meeting the cutting tool needs of customers in industries as diverse as automotive, aerospace, electronic and heavy equipment manufacturing. In a world where continual improvement is paramont to your business' competitive edge, look to Indexable. After all, our edge is excellence. For more information on any of our products, please do not hesitate to contact us. Manufacturers know that productivity and profitability inevitably go hand in hand. For more than 50 years, indexable cutting tools’ mastery of insert production and precision cutting technology has provided manufacturers around the world with an edge in operational efficiency.